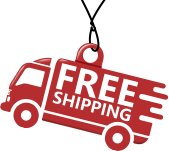 Lightweight transport wheelchair that is folded and stored easily is a real catch for someone who has a family member to care for that is disabled or had lost dexterity partially. 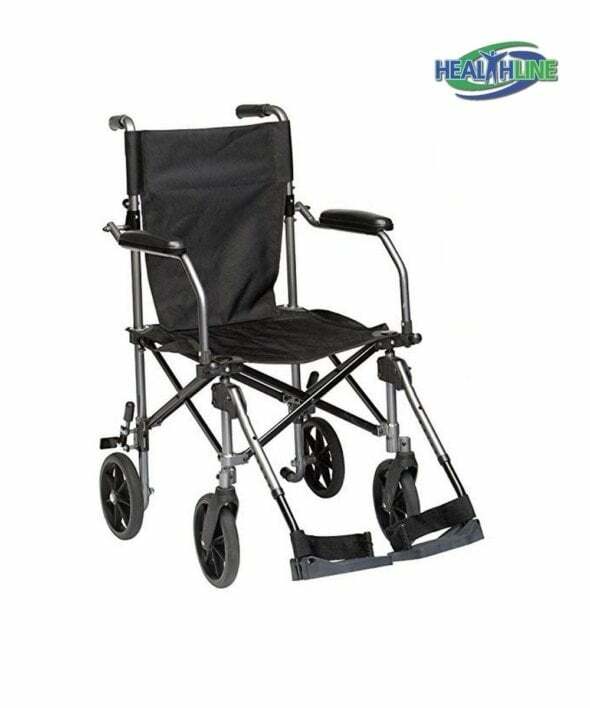 A transport wheelchair is characterized by double criss-cross frame, maneuverability, comfort and small weight. 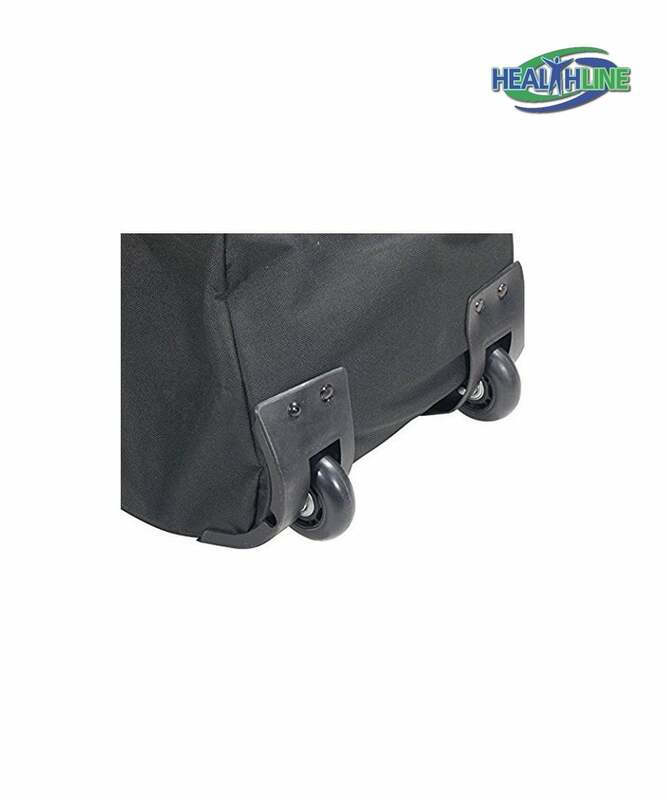 This particular one from Healthline Trading has rear dual push to lock wheel brakes, padded fixed armrests, four eight inch composite casters and a back that folds down for easy transport and storage. The leg riggings are removable and swing away. 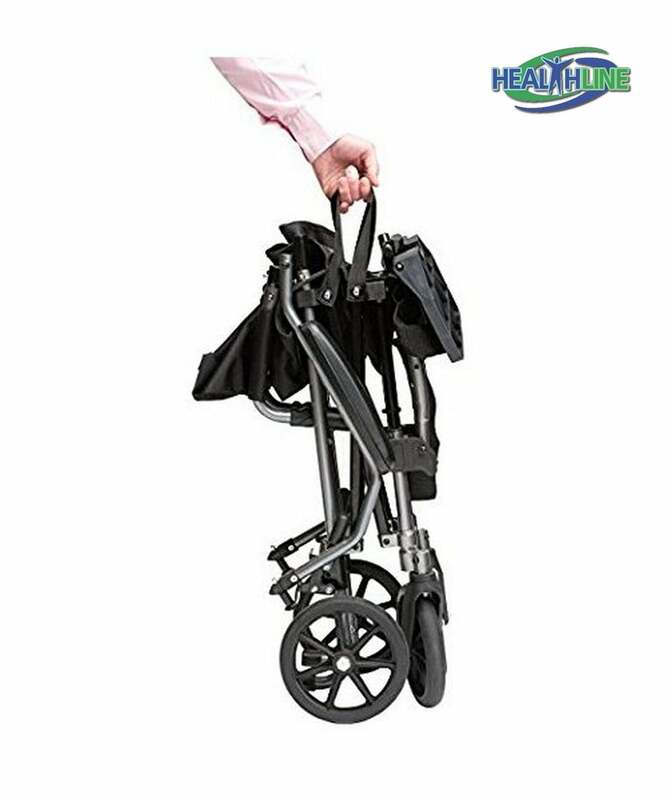 Folded dimensionsof this transport wheelchair are 33″ x 11.5″ x 37.5″. Shipping weight 24,4 pounds. Overall width of this lightweight wheelchair in closed condition is only 9 inches. When open, this wheelchair is 22 inches wide. 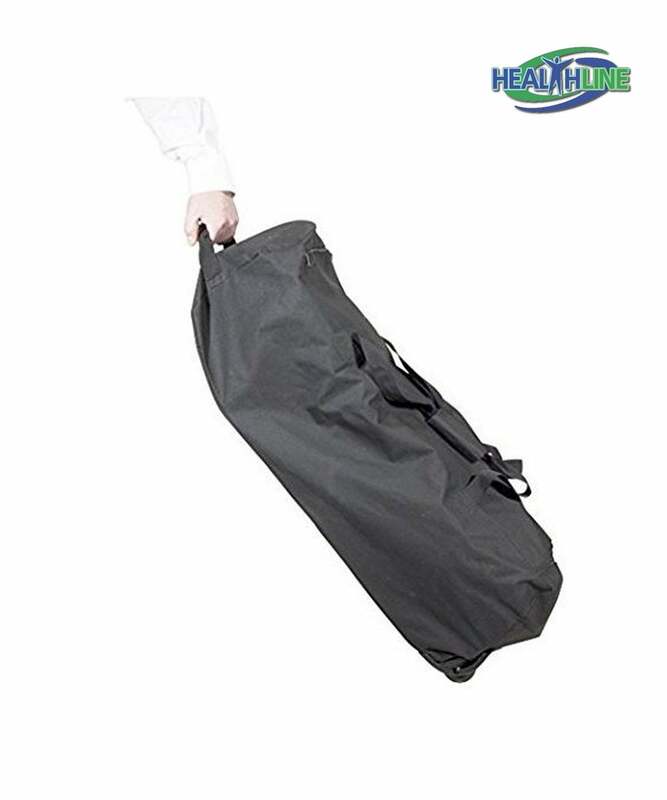 Has a convenient bag to store it in, perfect for travel. Padded aluminum elevating legrests provide excellent support for patient’s legs. Overall width of the unit varies by a few inches, depending on the model of choice. I was searching for an ultra lightweight transport chair after my hip surgery. Have never used a wheelchair before this one. I liked it because of its small weight, affordable price, folding feature and a convenient bag. Picking the right size seemed to be sort of a challenge, but customer support was friendly, helpful and patient. The chair is comfortable and easy to use.